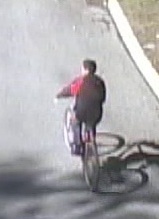 Protective Services is looking for help from the public in identifying a person of interest related to incident 2013-18481. 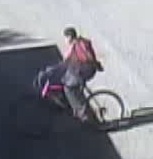 If you recognize this individual, or anything about this individual, which may help with the investigation, please contact Protective Services at 306-966-5555 immediately. On Wednesday September 25th from 11:00am to 2:00pm come see Protective Services in the Arts Tunnel for Sexual Assault Awareness Week. Register for a RAD course, ask questions about Safewalk and other ways to protect yourself on campus, and grab some free giveaway items while you are there. 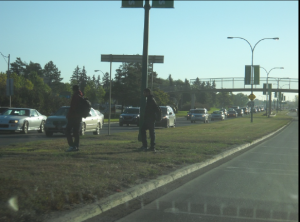 Every day a selection of pedestrians moving to and from the main campus choose to cross College Drive outside of the rules. While these rules may make an individual’s trip to campus two or three minutes longer than they would like, at least this student, faculty member, staff or visitor can rest assured that they will be able to make it across the busy stretch of roadway safely. Jaywalking is dangerous to pedestrians and may be traumatic for motorists who do not expect people to run across the roadway at unmarked locations. While the fine for jaywalking in Saskatoon is only $40, as the city gets bigger and busier, the risks increase. Since the law’s inception in 2010, Protective Services has written 209 citations for drivers operating an electronic device while driving. As today’s drivers become more distracted, jaywalkers are more at risk. Pedestrians are a vulnerable group of road users; they are likely to sustain serious or fatal injuries if they are struck by a vehicle. Protective Services always recommends pedestrians use one of the many pedestrian activated signals, controlled intersections or the pedestrian overpass to cross College Drive heading to or from campus.